Social properties like Facebook Pages, LinkedIn Pages, Twitter Pages and the like are simply a way to potentially connect with and have people follow your law firm…that is if you have something important and frequent to update them with otherwise they are billboards in a cornfield. Marketing experts commonly state that you need to be in front of your potential customers 7-12 times a year for them to remember you WHEN THEY NEED YOUR LEGAL SERVICES. This is what is called frequency marketing and why you see commercials of polar bears drinking Coke every Super bowl when you already know what a Coke is. The problem is unless your social media is frequently updated with content; there is nothing new pushing you in front of your potential customers (and referrals) on social media. Most attorneys do a poor job of promoting legal social media properties to their prospective clients and referral partners. They fail to do this on a consistent basis with their business cards, legal marketing materials, networking events, emails, and yes: especially their websites. Place a Facebook Page “Like” button on your website. No matter what the user thinks they are liking, ultimately they are clicking a button to have your information on Facebook in their news feed every time you publish information. This is like having a free newsletter to your customers who almost never change their mailing address and they only have to click on the button once to make it all happen! Place Facebook, LinkedIn and Twitter icons prominently on EVERY page of your website so no matter what pages a user will possibly enter or exit your website, they will always be able to quickly access and follow you on social media. Place all of your social media links next to your phone numbers, on your contact us pages and on your contact us confirmation pages. Since most law firm websites fail to provide a “call to action” on the contact us confirmation pages, this is a perfect pace for users to see a “next step” after initially contacting you. 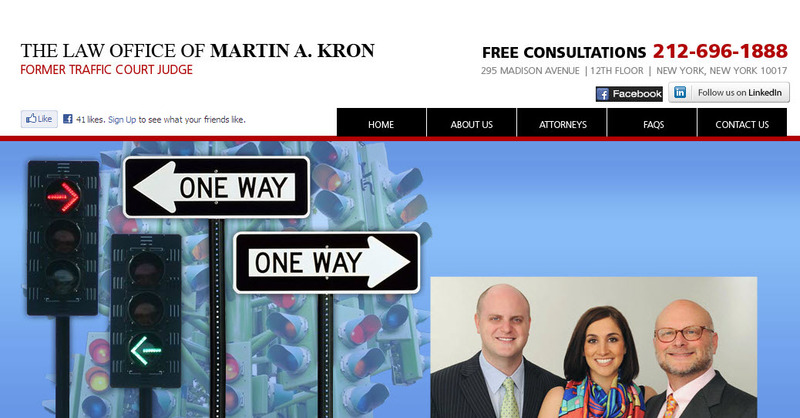 Do you offer free initial consultations and/or case reviews? Why not ask the prospective client to click on your Facebook page “like” button as part of your providing a free consultation for them. Since you are giving your time for free, why not ask for something as simple as a click in return? Place a stream of your social media postings in a column on the home page of your website. What better way to display the usefulness of your social media postings than by prominently showing them to your website viewers. 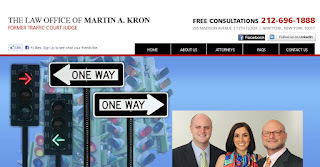 Add your social media links, buttons, and Facebook page “like” buttons prominently on your law firm blog. I am amazed at how many attorneys will work hard to drive customers to their blogs only to not giving them an easy way to continue to follow future blog posts by simply following the law firm on social media properties. Since the blog is the heart of your active content strategy, it only makes sense to help distribute your content to as many places as possible. I am glad to find this post very valuable for me, as it contains lot of information. I always prefer to read the quality content and this thing I found in you post. Thanks for sharing. It is not often a post is written to benefit the law firms and lawyers. Apart from the overall point that law firms should use social media as well, I enjoyed learning the information you took from academic papers and researches. The tips are great too, I can't add any others to the list. Great job! SEO is not a complicated job, but it requires patience and the ability to analyze and determine the keywords you want to use. Very not bad collection of various documents. If you need to first draw it here. For that and I express my deep gratitude to the creators. Real good articles here mate, I will be back again as im learning so much about this area that im interested in a lot. Thanks for the great insight you’re a gem buddy. Informative post. I am much thankful for sharing this one.It is a very good idea you provide here with us.Thanks for your insight for the great written piece. I am glad I have taken the time to read this.